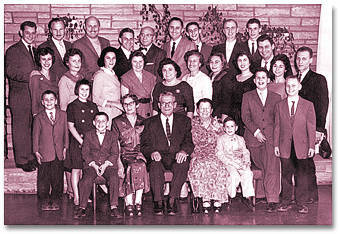 The photo on the entry page was taken at the Nevele Hotel in 1959. We were there to celebrate Grandma's 80th birthday. While not complete, it seems to be the closest we have to a family portrait. If you have any family photos you would like to post to this site, contact Suzanne.